The Summit Counseling Center » Kia Bammes, M.A. Kia received her Master of Arts in Professional counseling from Liberty University and her Bachelor of Science in Psychology from the University of Houston, where she graduated with honors from both universities. Kia has a natural disposition to help clients deal with difficult times and unexpected life changes, often resulting in grief, depression, anxiety, relationship dysfunction, addiction, and trauma. She has worked with children and parents with intellectual, developmental, behavioral, and mental health challenges since 2007, helping families gain a better understanding of coping through Psychoeducation, Play, and Filial therapy techniques. 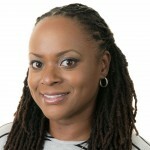 Her work with adolescents and adults began in 2009, whereas she continues to utilize an integrated and holistic (“whole-person”), therapeutic approach, a fusion of CBT, DBT, Psychodynamic, Strengths-based, and Solutions-focused theories, to help clients experience a productive recovery through client-centered tools and practice. Kia has benefitted from all levels of human services, being a paraprofessional to managing community mental health programs. However, she is most passionate about her clinical path to collaborating through a structured partnership with clients on the creative, yet practical process of therapy. When she is not providing guidance to her clients, Kia enjoys spending time with her husband and son traveling or at home watching movies. She adores the art of cooking and is always researching healthy methods of meal preparation. Kia values the whole-body wellness and is committed to physical fitness training as a preventative measure to chronic health issues – especially kickboxing and circuit interval training. Her spirituality is a vital factor in her personal life and she welcomes clients of all ages, denominations And cultures to explore the inspirational, healing, and transformative benefits of spiritual worship.